Congratulations on your decision to join the ranks of millions of home owners! 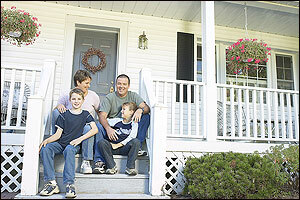 Spring is the perfect season to buy a home, and it is the time of year when many others have decided to buy as well. While that may seem like it would crowd the market with eager buyers, what it actually means is that those other buyers will need to first sell their current homes before they can consider buying a new one. In my years of experience as a realtor, I can tell you that spring is a fantastic time to start shopping for your new home. You will be able to visit and explore many homes for sale. These are homes whose owners have spent all winter preparing for your arrival. Because lenders often offer their most competitive and attractive interest rates, and introduce new mortgage loan program, during the spring, buyers are more likely to save money when they opt to purchase during this time of year. Here is some advice about how to structure your search for a new home. I hope you will find it to be very helpful. Buyers who already have a loan commitment in their hands before beginning their home search are able to reduce the number of homes considered for purchase. Having a loan commitment also makes negotiating with the seller much less intense. In order to obtain a loan commitment from a mortgage lender, you will first need to determine the amount of money that you can afford to pay toward your home loan each month. Keep in mind other expenses, such as recurring debt payments, as well as possible changes in your financial or family situation over the life of the mortgage. Once you know what you can truly afford to pay, research mortgage lenders and their specific lending programs. As a realtor, I know that one of the most time-consuming and frustrating processes that new home buyers face is the process of selecting a mortgage product that works for their specific needs. Explore the options, negotiate with the lender for a lower interest rate, and consider the amount you have on-hand for up-front costs and a down payment. Once you have identified the best possible mortgage program for your lifestyle, complete the lender’s pre-approval application process, which will include providing paperwork and information regarding your financial situation and employment status and history. The lender will investigate your credit history and may verify your employment. If everything is in order, the lender may issue you a pre-approval decision. At this point, you need to go one step further. Request a written loan commitment stating that the lender agrees to give you a mortgage loan of a specific amount. This statement will also contain the maximum amount that you are approved to borrow. Keep this number to yourself! Before you begin looking at homes, it is a good idea to list everything that you want in a home. List everything that you can think of, because this is your wish list. Realize, of course, that the list is not set in stone and that you will probably never find a home that offers every detailed item on the list. Next, go through your list and prioritize each item. Mark those items that you absolutely must have with a number 1. Mark those items that you do not require, but would prefer, with a 2. Mark everything else with a 3, 4 or 5 depending on the importance of the item. Take a break for a few days and then revisit your list to ensure that it accurately reflects what you’re looking for in a new home. Once you have completed your prioritized wish list, share it with your realtor and start looking for the home of your dreams! After you have met with your realtor and shared your list of must-haves, the realtor will look through his or her listings and those of other realtors to identify homes that meet your requirements. While the realtor is doing this, you can use the Internet to search on your own. Many online realtor sites allow potential buyers to search for homes against a specific list of criteria, and most of these sites provide photographs of the listed homes. Make a list of any homes that capture your interest, including their address (if available) or the general location. Most homes listed on realtors’ websites have an MLS (multiple listing service) number, which allows the realtor to find out more detailed information about the home, including the address if you were unable to find that information. Finally, contact the realtor to arrange showings of the homes that you are most interested in. The Internet is a great tool for researching potential homes and neighborhoods, but if you plan to relocate to an unfamiliar area, take some time to explore the location. If possible, visit the neighborhood at several different times of day. Driving through a neighborhood in the evening might enable you to talk to other residents. Driving through the neighborhood late at night might give you some insight into the level of noise, activity and possibly even crime that you might experience while living there. Your realtor’s top priority should be to help you find the right home for your needs. A good realtor will use years of experience and various types of expertise to work with you to find the perfect match. If you change your mind about what type of neighborhood or home you’re interested in, simply let your realtor know, so that he or she can adjust the search on your behalf. When you and your realtor work together as a team, you will successfully find the home of your dreams! When negotiations have stalled, one of the things that can jump-start the sales transaction is for the potential buyer to offer the seller a 30-day closing. Remember that many spring buyers are also sellers. Therefore, some sellers must wait for their current home to sell before they are able to close on their own new home. By carefully navigating this situation and applying strong negotiation skills, you may be able to move into your new home within a month from the date you make an offer. Buying a new home is a very exciting process, and buying in the spring definitely carries many advantages for buyers. A good realtor will be willing and available to help you with each and every step of the home-buying process. From investigating mortgage programs and developing your wish list, to negotiating with sellers, let your realtor’s expertise and experience work for you.